Photo from flohrdumal on Instagram. This human and feline pair hail from Decatur, Georgia. 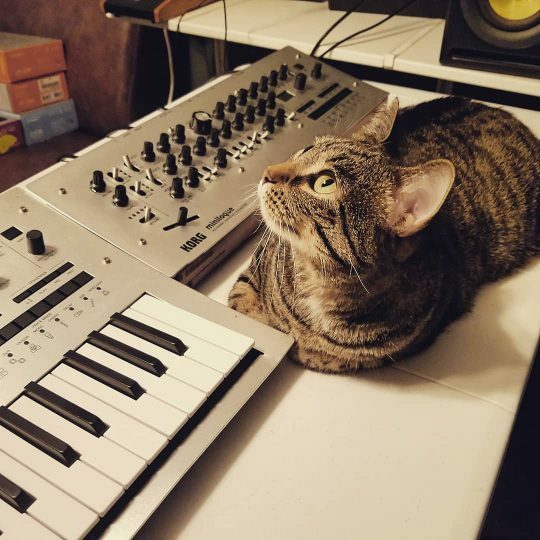 CatSynth pic: Is that comfy? 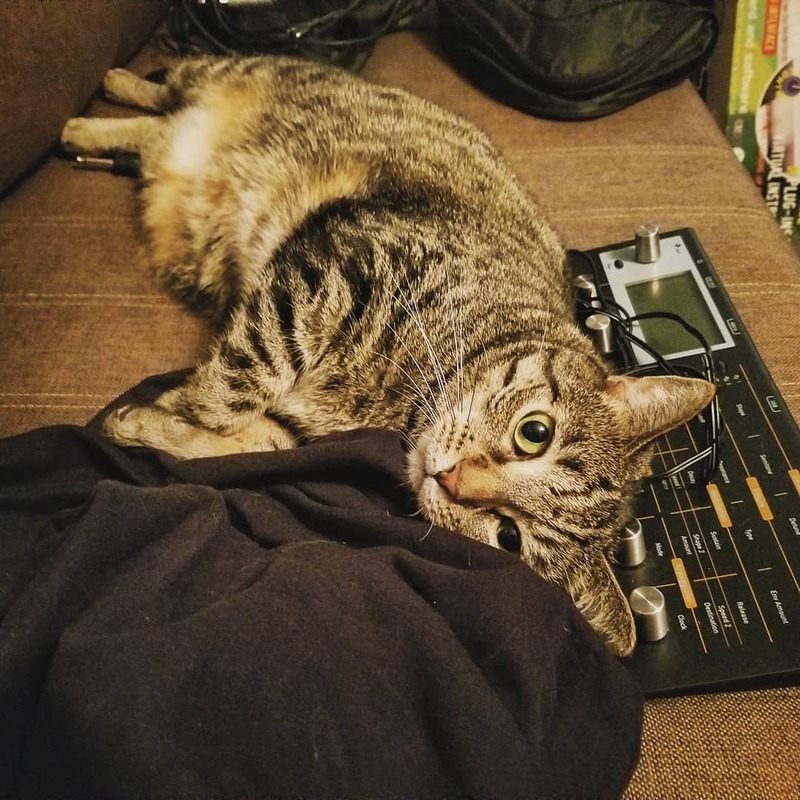 I see a tabby, a Korg Kaos Pad, Nord Micromodular, and Ableton Live! on the computer screen.